Startups can be innovative in ways that big brands can't, and our businesses are proving this every day. One such business is our StartUp of the Week, Antler & Bird. They make quality artisan coffee drinks that focus on the coffee itself, rather than add-ins such as milk and sugar, so often present in big name brands. Let's find out more! 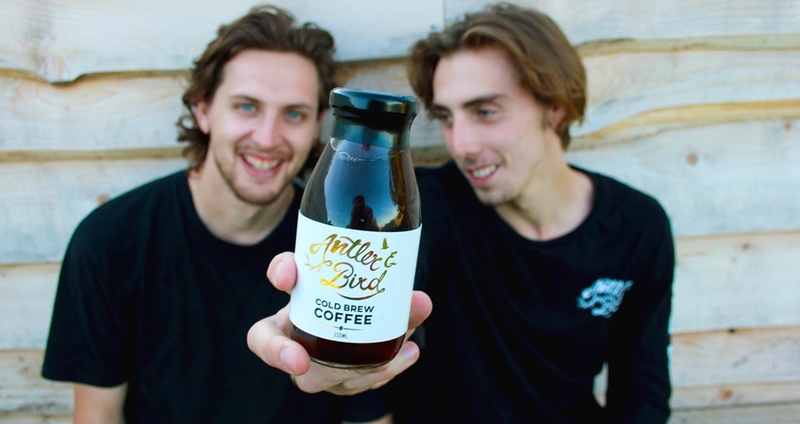 Antler & Bird is a Cold Brew Coffee company. Cold Brew Coffee is a ready-to-drink, bottled, and chilled coffee. No milk, no sugar, no nonsense. We want more people drinking speciality coffee, and for this reason we don’t limit ourselves to just fancy cafés - we are stocked in all sorts of places, from farm shops to gyms. Cold brew is a relatively new product in the UK, but we expect to see it available in most supermarkets within the next five years. We’re based in the Cotswolds, but moving our premises to Bath. The Cotswolds was a great place for us to start. There are a growing number of startups in the area, especially in the food and drinks sector. We also found that many retailers were open and interested to hear about our product - we feel this is because people in Gloucestershire very much put quality first. The choice to move to Bath came from Bath’s love of coffee, being often referred to as the “coffee capital of England”. Not only this, but there is a great hub of drink startups that have gone from being Bath locals to nationwide successes (Henny & Joe’s Chai, to name one). We hope to follow suit! Alex and I have a mutual love for exceptional drinks, with Alex’s background being in wine, and mine in coffee. One night we were complaining about the inconsistency and inconvenience of speciality coffee and agreed that it would be amazing if, like wine, you could bottle the finished product. That made us think “How can we bottle the finished product?” Antler & Bird Cold Brew Coffee was the answer. We applied for the loan after trading for six months. We had managed to start the business off our own backs, but decided the only way to get the boost we needed to expand would be with the financial and mentoring support Virgin Start Up had to offer. With the loan we have managed to start looking at equipment and premises that will allow us to increase our production tenfold. This means we can go full steam ahead at approaching the big retailers we have our eye on, ultimately meaning getting speciality coffee in to more people’s hands. 6. Who helped you to get a Start Up Loan? Alyson Eyval at Business West. From our first conversation, Alyson has helped guide us through the scary and unavoidable steps to getting funding. Funding is an intimidating part of business but totally necessary. Alyson made this process smooth and, dare I say it, easy. We now have an extensive business plan and our loan in place - all our next steps seem clear and totally achievable with the help of Virgin StartUp. Our biggest achievement may seem small to many. It has to be the first time we saw our product on the shelves, especially at the award-winning Daylesford Organic stores. After months of gruelling struggle and countless kilos of coffee wasted, the satisfaction and pride of seeing a thought become a real product has to top any other achievement we’ve had. 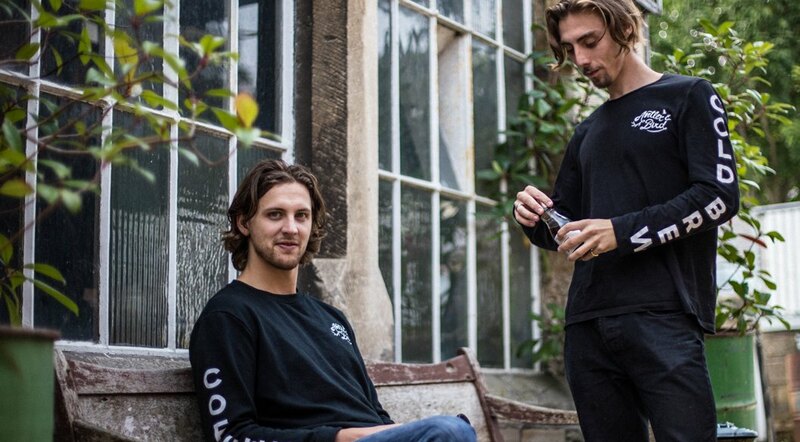 We want our product available to buy in every corner of Britain, we want people choosing our cold brew in place of their sugary pick-me-up. You will see Antler & Bird becoming more readily available. In gyms and health shops. Also, we are in conversation with some large retailers, and are hoping to be on most high streets by the end of this year, so watch this space!